The International Shakespeare Association meeting, held in Tokyo in August of 1991, was regarded by many of the participating academics as a milestone in terms of the quality of the papers given and extent to which the intercultural and cross-cultural study of Shakespeare had been developed. 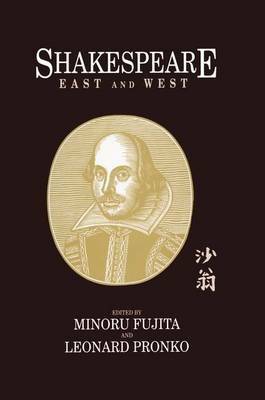 This volume contains the principal contributions (10) to the panel on Acting and Language in Shakespeare and Eastern Drama, specially edited for publication by Minoru Fujita who teaches at the Graduate School of Culture, University of Osaka, and Leonard Pronko, Professor of Theatre at Pomona College, Claremont, California. The papers are presented in three sections: Playhouses and Performances, Literary History, and Interpretation and Theoretical Issues.